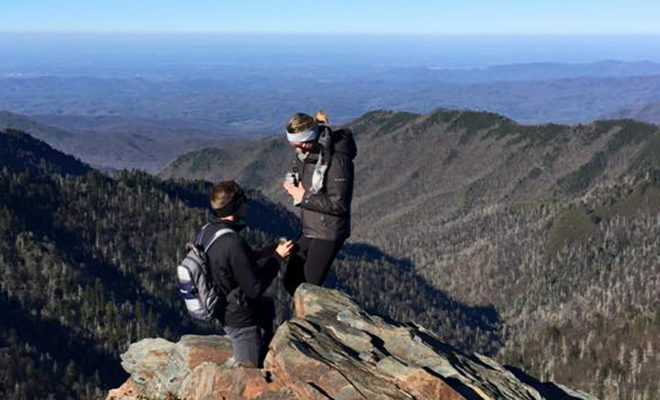 Kaylyn & John’s Smoky Mountain Proposal - Shane Co.
Kaylyn met John when she was a freshman in college and John was in his sophomore year. The two shared a passion for adventure and they have traveled to many places together over the years, including Thailand, Mexico and California. 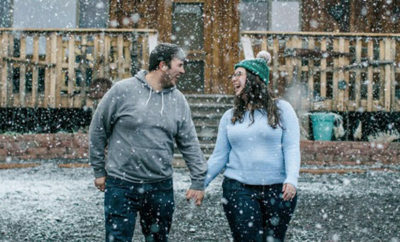 When John booked a weekend getaway to the Smoky Mountains in Tennessee, Kaylyn thought it was just another adventure together—she had no idea there was a proposal ahead! 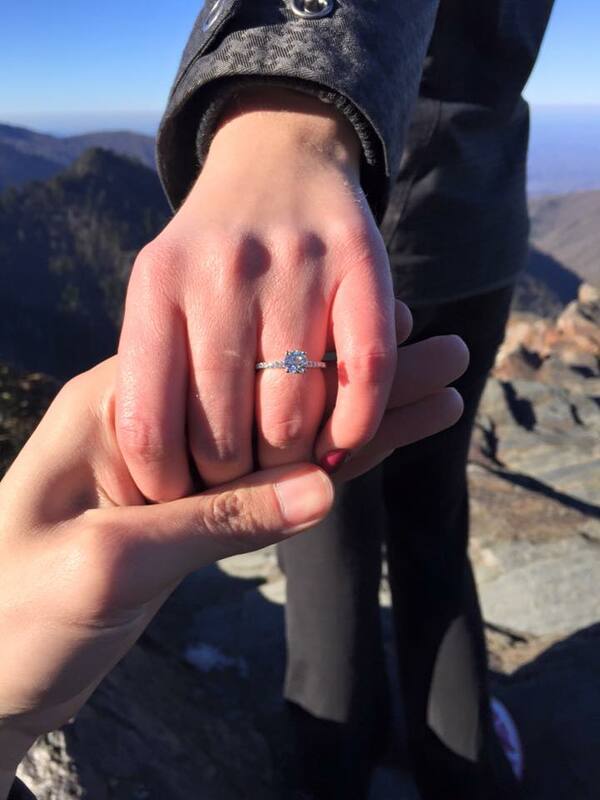 John told Kaylyn he really wanted to take a long hike on the Appalachian Trail, which ended at a picturesque cliff. 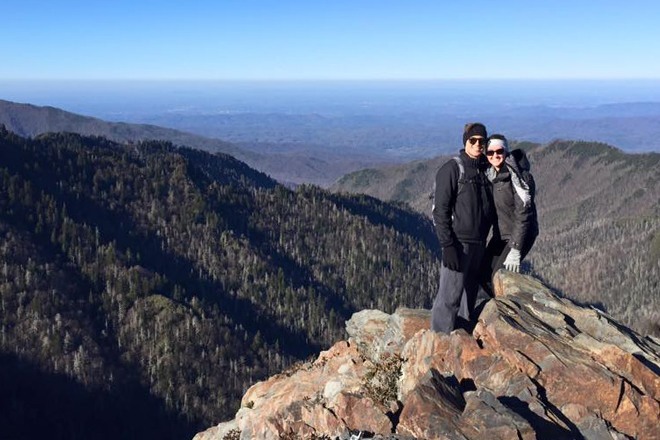 Even though it was December and the temperatures were low, the two ventured off into the mountains together. 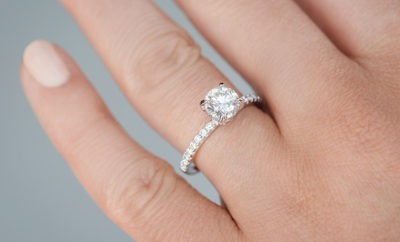 John proposed with this gorgeous 14k white gold diamond engagement ring. Kaylyn says it is absolutely perfect and more beautiful than she could have ever imagined! The newly engaged couple are planning an Italian-themed wedding in June 2017. We couldn’t be more excited for them!